Can an irrevocable trust be changed? Often, the answer is no. By definition and design, an irrevocable trust is just that—irrevocable. It can't be amended, modified, or revoked after it's formed. But there are exceptions to every rule, as the saying goes. Here are some things to consider if you think you're stuck with the terms of a trust that can never be changed. Some irrevocable trusts are written with instructions to the trustees or beneficiaries allowing the terms of the trust agreement, its formation document, to be modified under specific and limited circumstances. Charitable trusts usually contain provisions to allow modification of the trust agreement to comply with changes in federal tax or other laws. This type of modification can be accomplished using a document signed by the trustee and all the beneficiaries. Typically, current as well as remainder beneficiaries must sign. A remainder beneficiary is a charitable organization that receives the balance of the trust after its income is distributed to other beneficiaries for a period of time. A court may also order judicial modification of a trust when it's petitioned to do so by the trustee and/or beneficiaries. If circumstances have changed that make the administration of an irrevocable trust unreasonably expensive or if its purpose has become outdated, the trustee and/or the trust beneficiaries can request that the terms of the trust be modified or that the trust is completely terminated through mutual agreement or judicial modification. Modern estate plans often incorporate the use of a "trust protector," an independent third party appointed by the trustee, the trust beneficiaries, or a court. If the irrevocable trust document contains provisions allowing for the appointment of a trust protector, one can be hired to examine the facts and circumstances surrounding a desired change to the trust. The trust protector would then make a final determination as to whether the change should be made. If the trust protector recommends that it should, they will either sign the applicable documents making the amendment or seek court approval for the change. If the trustee or the beneficiaries of the irrevocable trust have been given a lifetime or testamentary "power of appointment," the terms of the trust can be changed for the benefit of current or future beneficiaries. This simply requires signing a document which exercises the power in accordance with the terms specified in the trust agreement. Although it won't change the provisions of an otherwise irrevocable trust, the sale or other disposition of all the property held by the trust can effectively cause it to be terminated. The trust would still exist, but it would serve no purpose, it would become an empty entity. For example, if an irrevocable life insurance trust or "ILIT" owns a life insurance policy on which the required premiums are not paid, the policy will eventually lapse, leaving the irrevocable trust empty. Irrevocable trust agreements are generally not easy to read and understand. If you are the trustee or a beneficiary of an irrevocable trust that you would like to change, check the trust agreement for information identifying which state's laws govern the trust's provisions. This section can usually be found toward the end of the trust agreement. It will be titled "Governing State Law" or something similar. 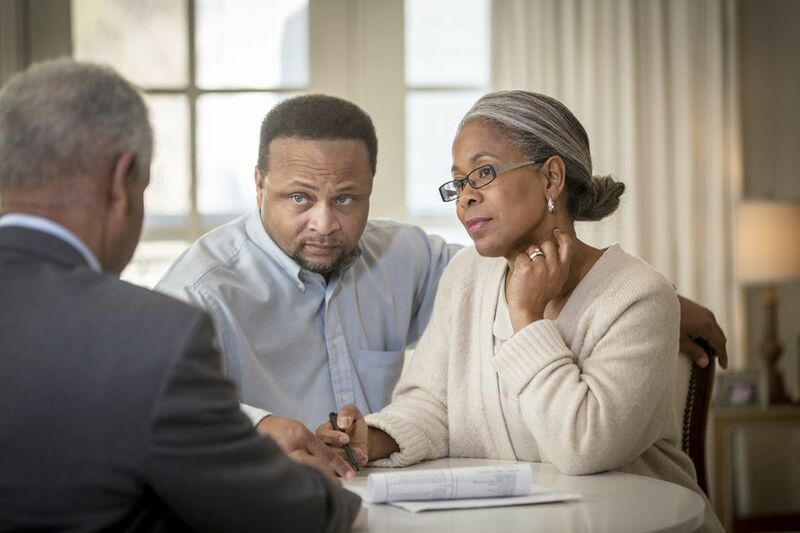 Then consult with an estate planning attorney who is familiar with the governing state's trust laws to determine if anything can be done to change the provisions of your otherwise irrevocable trust. Laws can vary considerably from state to state.